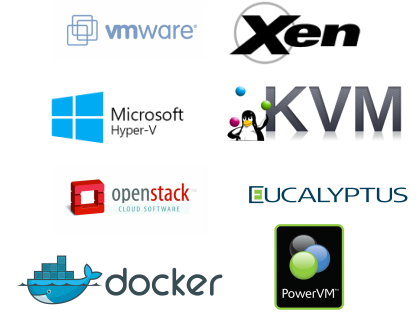 Akzium has experience with all of the major virtualization platforms, each having their own advantages. From analyzing your current physical environment for the move to virtualization to implementation, upgrades and migrations our experts have the knowledge and experience to assist with both building a project plan and training your staff to be self-supporting for the post-installation period. If high availability is what you're looking for in your virtual environment, then Akzium has a complete suite of applications to assist with minimizing downtime. Akzium can assist with implementing VMware's VSAN, VM Replication and Site Recovery Manager (SRM), Microsoft's Hyper-V Replication with SCVMM, SAN-to-SAN Storage-based replication and recovery or software-assisted backup and replication solutions like Zerto, Veeam, AppAssure or Asigra just to name a few. Akzium also has partnerships with cloud hosting providers who offer "Disaster Recovery as a Service" solutions such as CenturyLink, Green Cloud, Amazon Web Services and Connectria.